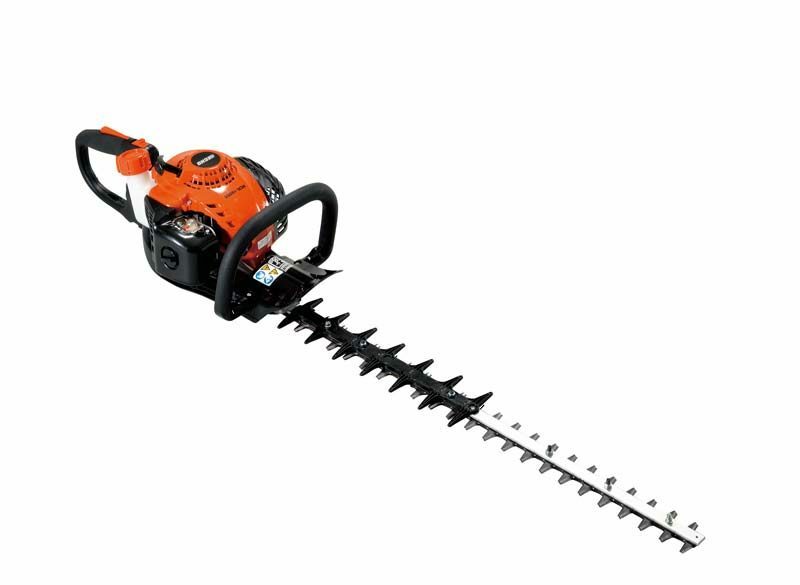 With features such as rotating handle, anti-vibration system and ES-Start the double sides HCR-185ES hedge trimmer from Echo offers durability, comfort and high levels of performance. Echo HCR-185ES Hedgecutter, features include a 21.2cc engine with an output of 0.57kw, a cutting length of 744mm and a dry weight of 5.3kg. Echo hedgecutters are designed to be durable and well balanced. The features include lightweight gear cases, long-lasting blades and vibration reducing engine mounts. You can depend on Echo handheld equipment when you need it.